Last week I was in Detroit, MI., and stumbled on Third Man Records. Turns out they have a beautifully restored "Record Booth" where you can perform right into the can and hear yourself out on the other side. Having to test it out, I cut my version of Big Rock Candy Mountain that very day. Listen here. Suitcase Sam will be playing a second engagement at Caffe Vivaldi on Nov. 8 (yes people, election night). So if you missed the first one, here's your mulligan. Click here to listen to Suitcase Sam discuss the analog recording process, Robbie Robertson, singing in the morning and perform two songs live and on air for Humble and Fred radio. Our friend Carla Candela stopped by the studio a few months back and brought along her camera. She caught us redhanded, working on some impromptu group vocals. We just finished basic tracks for the first full length LP by Suitcase Sam. it was a wild couple of days in Toronto's east side, but we're off to a good start. We're happy to be working with Walter Sobczak and Revolution Recording. 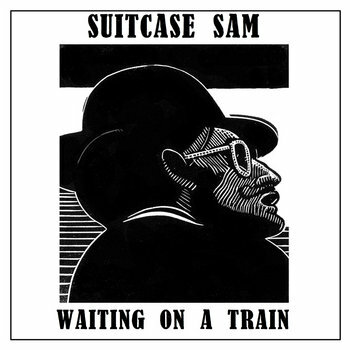 Ten original Suitcase Sam compositions are slated for the release, but that is still a ways a way. It's that time of year again, winter winds are blowing and Christmas trees are glowing. Yes sir, Christmas is almost here! In commemoration, Suitcase Sam has released a Christmas album in collaboration with Marlon Chaplin and Leaura Katelyn. "Holidays on Howland" is available to stream from Soundcloud. Merry Christmas, everyone.